Google Play Store started their third birthday promotion, and you can get a movie in HD for Free from play store. For the users from United States of America the movie is Transformers If you are from USA get the movie in HD for free from play store this movie will costs you $17.99 otherwise. US users can also get the Coldplay's sixth studio album, Ghost Stories for free – link. 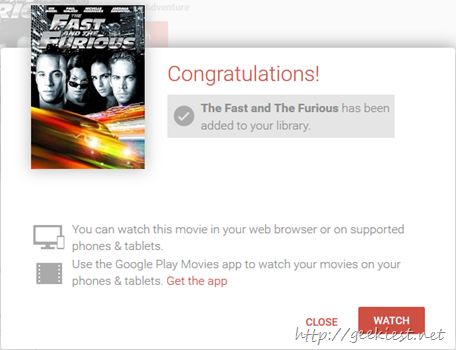 For Indian users it is The Fast and The Furious in HD worth INR 650. Other countries can get different movies like this. If you want, check this link and leave a comment with which movie you got for free and your country. There are more offers available on the link like huge discounts (up to 97% discount) on games, movies and application.